I’ve always loved the thin and thick lines that you can get with nib pens (also called dip pens) but I just started getting into them over the last year. I thought I’d write up what I’ve learned so far in case it helps someone out there. 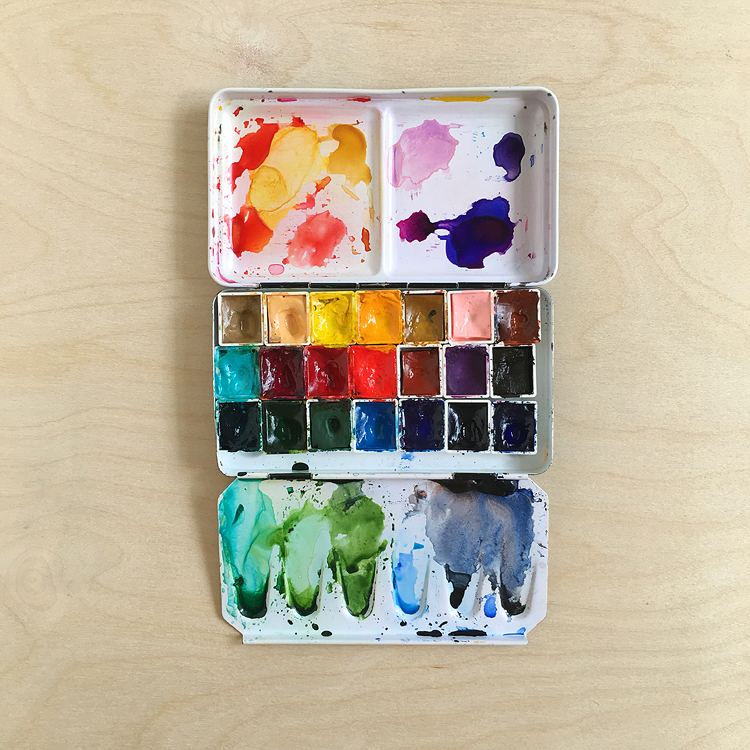 This photo is from my “sidenote” series on Instagram — follow along over there for more tips! These pens are made of 2 parts: the nib and the “holder”. You dip the pen into ink or brush watercolor on the nib, use it until it almost runs out and then repeat. After a ton of research I dove in and got my gear! Here’s what I have with some notes on what works best for me, with links. Note that the links to Amazon are my affiliate links, so I’ll receive a small commission at no cost to you if you make a purchase by clicking the link — thank you! I have no affiliation with Jet Pens. 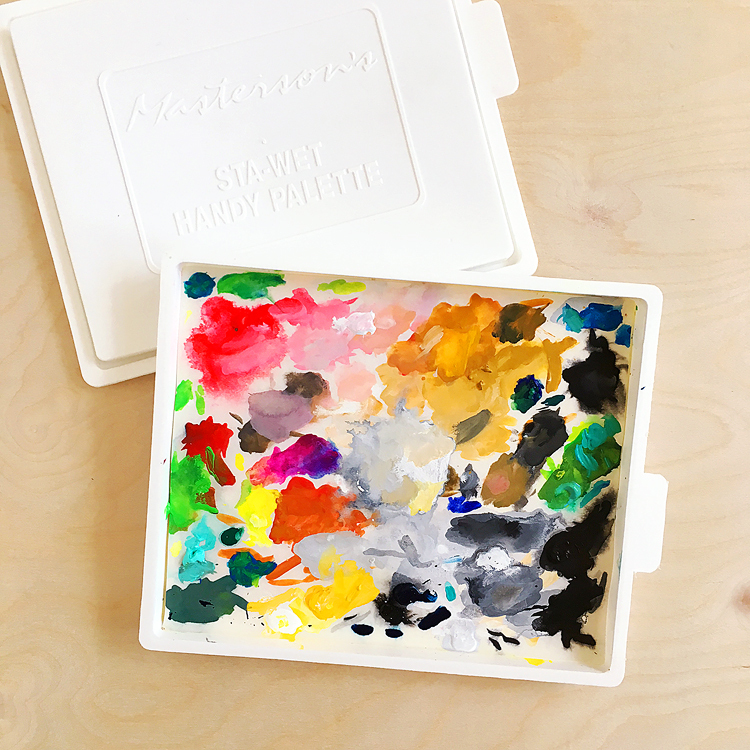 I also wanted to add that I mainly use these for sketching and simple writing on cold press watercolor paper, so what I like may not be best for your purposes. Tip: having a holder for each nib that you frequently use is great so that you don’t have to keep swapping back and forth! General’s #204 B — this one is my favorite! Pros: the cork feels good to draw with and I love the wood handle. Cons: the cork stains easily — but on the other hand I kinda like that look! Tachikawa model 40 — has a nice comfort grip with a wood handle. Pros: Sometimes you can wipe ink off the grip part, but not always. Brause 361 Steno Blue Pumpkin (3 pack for a decent price here on Amazon or better price for a single here on JP) my fave for using on watercolor paper. It’s the smoothest that I’ve found, and the blue color is so cool. Brause 76 Rose – (JP) — I liked this one but couldn’t get it to work for me on watercolor paper. Nikko G — (https://amzn.to/2RGS8X0pack of 3 on Amazon // pack of 3 on JP) this one is pretty well loved by most people, but also doesn’t work for me on watercolor paper. It’s really scratchy and can tear up the paper while applying moderate pressure on downstrokes. It’s a really fine line, which is great if you’re drawing small things. Noodler’s black and sumi inks. Tip: I save mini jam jars and pour ink into them. There are so many amazing inks on the market these days! Tip: Check to see if an ink that you’re considering is waterproof or not so that you’re sure it’ll work for your purposes. 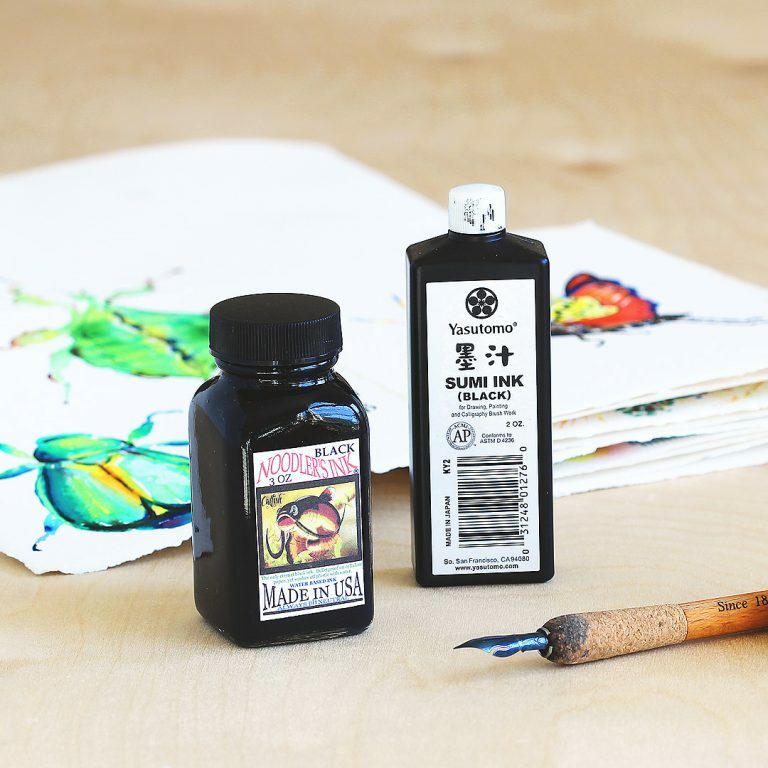 Noodler’s Black ink (Amazon or JP) – a really good black ink — in my experience it’s waterproof for the patient, meaning if you let it dry overnight (or bake it in the Texas sun for 15 minutes) then it won’t smear when you watercolor over it. I’ve also found that if you get a blob of ink on your paper it may form a skin over the top and appear dry, but there’s undried ink lurking under the surface. Doh! I wouldn’t use this with a brush. Jet Pens has a great article filled with all kinds of good info here. Marc Taro Holmes has info about dip pens (and more!) here. 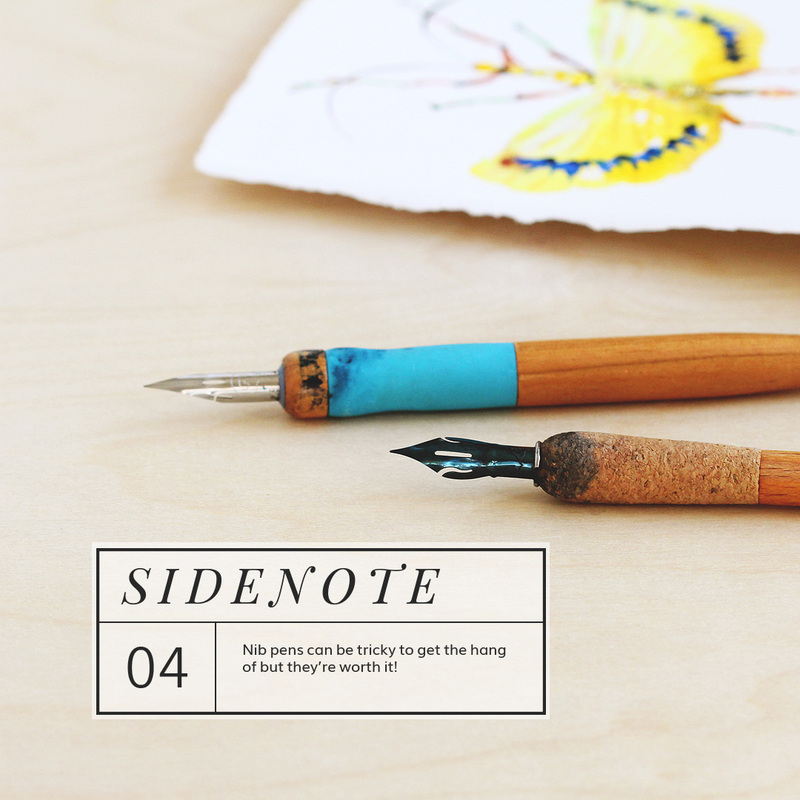 Last but not least, Lindsey from The Postman’s Knock has a caligraphy oriented tutorial here. Hope this helps someone out there! If you have any questions just let me know, and if there’s an ink or nib that you use I’d love to hear! Essentials by Ellen Letter Board!